Sushi flowers! Make 5 sushi balls and set those on a plate. Put scramble egg in the middle. To make a leaf shaped wasabi, mix paste and powder wasabi so that you can shape it easily. Mix all and microwave for about 30 seconds. Pour into the cooked rice and mix well. Do it when the rice is hot! 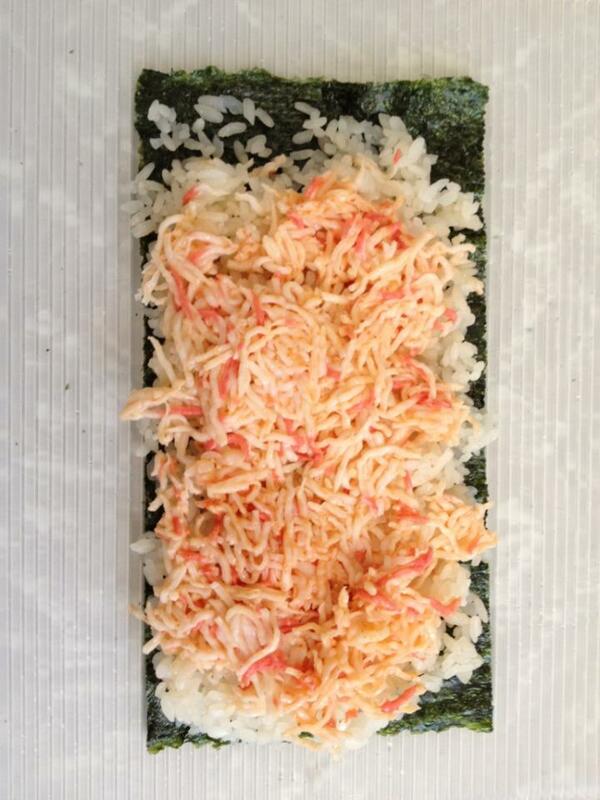 Cover your sushi mat with plastic wrap. Place a seat of seaweed and put rice and spicy crab meat ( just add mayo and spicy sauce in crab meat to your taste). Leave a little space on top. 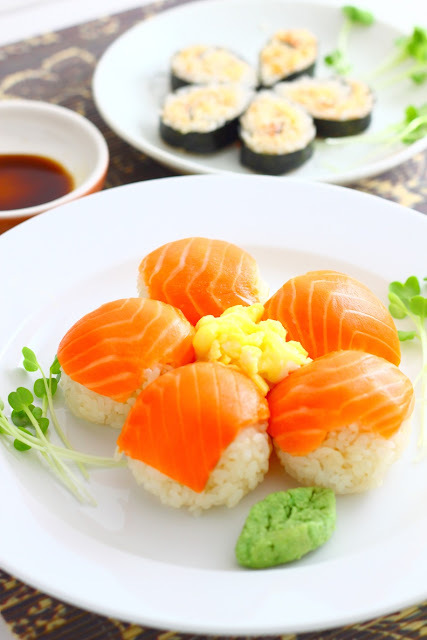 Roll and tighten with the sushi mat, making the shape of a flower petal.